I get asked a lot about how to tie reading and writing together, while focusing on fluency, comprehension, phonics, vocabulary, and the conventions of writing. My answer is simple: reading and writing go hand-in-hand. I have learned that using themed, high-interest materials and exposing students to similar material over time builds confidence and excitement for beginning readers. 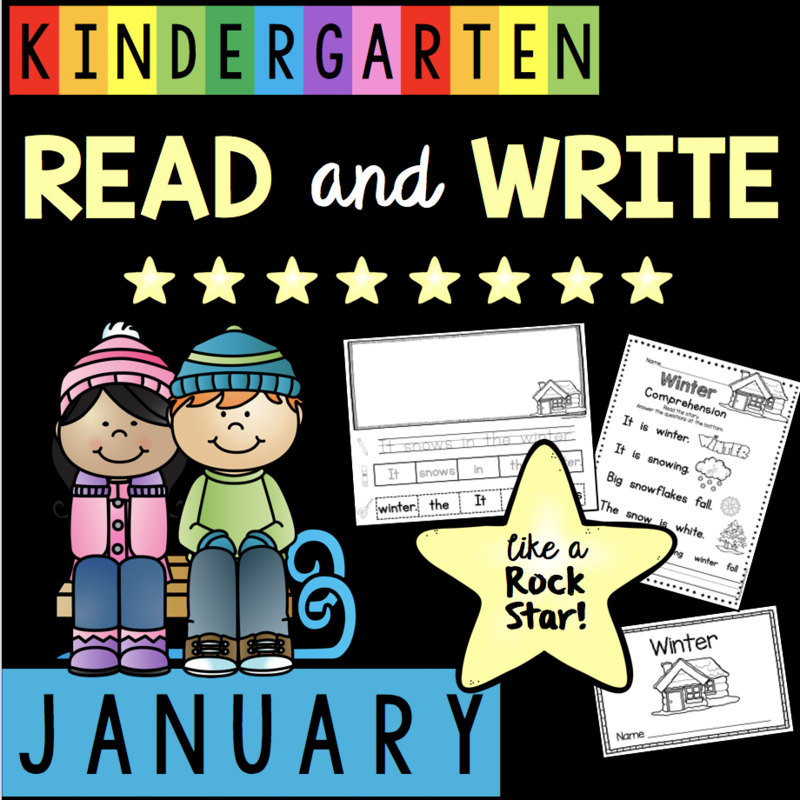 The pictures shown above are from the November Read & Write Like a Rockstar Pack. For this specific week, the theme is “I See Leaves.” For the entire week, we use resources with the same sight words, vocabulary and pictures to build student confidence, fluency and joy for reading and writing. 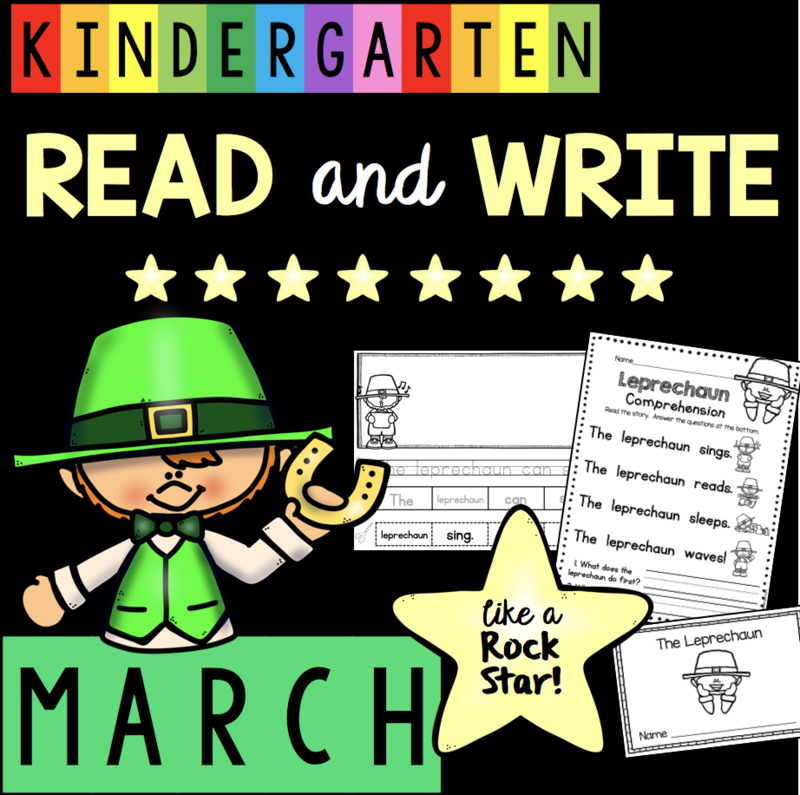 Every weekly theme includes a mini reader, a fluency/comprehension activity page and a sentence building worksheet. Gathering materials for small group time and centers used to be incredibly time consuming and stressful for me. I also used to feel like I was spending so much class time explaining directions and expectations for each activity. These monthly packs solve all of these problems! All the planning is done for you. The layout and expectations stay exactly the same for every monthly pack, but the themes change every week and the material increases in difficulty throughout the school year. Students appreciate the routine and structure and their confidence quickly grows. Click the pictures below to see each pack in action, and some months have FREEBIES for you to try! SAVE BIG WITH THE BUNDLE!